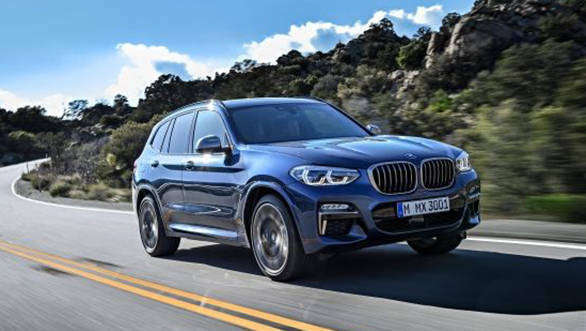 BMW has announced that the all-new BMW X3, that we tested some time ago, will be launched in the country on April 19. The luxury mid-sized SUV is expected to arrive with new iterations of the two diesel engines already available in India. These will initially be the 20d with the 1,995cc four-cylinder with 190PS and 400Nm and the 30d with 265PS and 620Nm. These help the car put out 0-100kmph times of 8.0 and 5.8 seconds and top speeds of 213 and 240kmph respectively. Both will be mated to the 8-speed ZF-sourced automatic transmission. The suspension has been updated with lighter aluminium components and BMW has also switched to aluminium callipers for the brakes, the result is a car that is as much as 55kg lighter depending on the selected trim. Prices are expected to be in the Rs 50-55 lakh(on-road) bracket. The exterior sees a new larger kidney grille(with auto-closing slats for greater efficiency) with reprofiled headlights, taillights and fog lamps. A redesigned front bumper with larger air-intakes and a new roof spoiler with new wings and twin tailpipes complete the picture. The interior has been made available with a new 10.25-inch touchscreen with gesture control. Connectivity options like Apple CarPlay and Android Auto will be provided as standard. 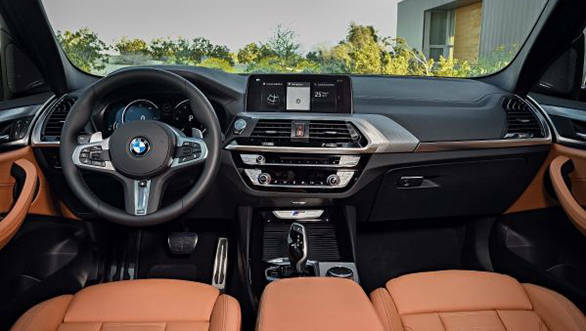 The new X3 will have more interior space as a result of a 2.2-inch longer wheelbase on the updated car. The new X3 will also get interior ambient lighting options along with a colour readout head-up display. Other changes include a newly adjusted all-wheel-drive system for greater rear bias, with the ability to change the base distribution depending on conditions. The X3 gets 18-inch wheels with options up to 21-inches available. The X3 also gets a handful of safety systems including stability and traction control plus hill descent and more. The BMW X3 competes with the likes of the Mercedes-Benz GLC, the Audi Q5, Land Rover Discovery Sport and Volvo XC60. Since being first launched in 2003, the X3 has usually been the relatively more driver-focused alternative in this class. This new car is hoping to build on that while also matching rivals in terms of comfort and off-roading ability.